One of the most widely distributed and watched sports channels in the Caribbean is SportsMax. They provide content daily to over 1.3 million households in 25 different Caribbean countries. 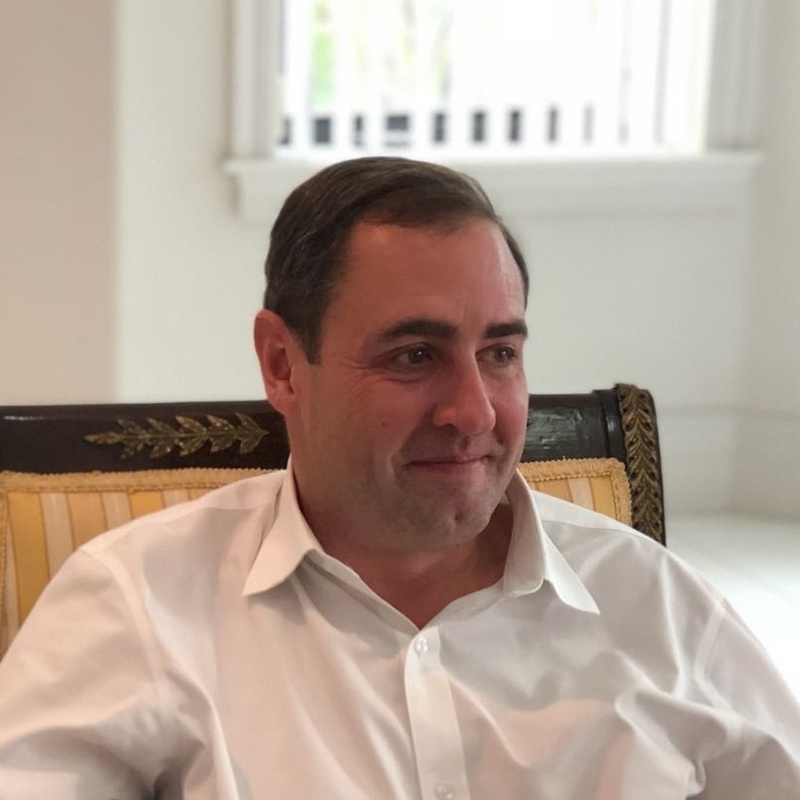 They have a plethora of local and international sporting events, such as SSFL, Elite League, Jamaica Schoolboy Football, LaLiga, NBA, and UEFA Champions League. This year, SportsMax purchased the digital streaming rights to the 2018 World Cup and created a new 24/7 World Cup channel. Not only were the rights rather expensive, but purchasing them gave SportsMax an exclusive opportunity to make a first introduction to a new audience and expand their brand. In order to justify their purchase, SportsMax had to ensure they did everything possible to generate revenue from the games. SportsMax knew that smartphone usage had officially surpassed desktop as 63% of all online traffic is done on mobile. They realized that offering their streaming service on desktop only would result in a massive loss of potential revenue from the World Cup games. This is especially true since page views per visit are up 21% for mobile. Thus, SportsMax recognized that they must provide a means for their viewers to access the World Cup games via an app. SportsMax set clear goals for themselves: create an app that is capable of live streaming, and generate at least 20,000 downloads of the app for the World Cup games. 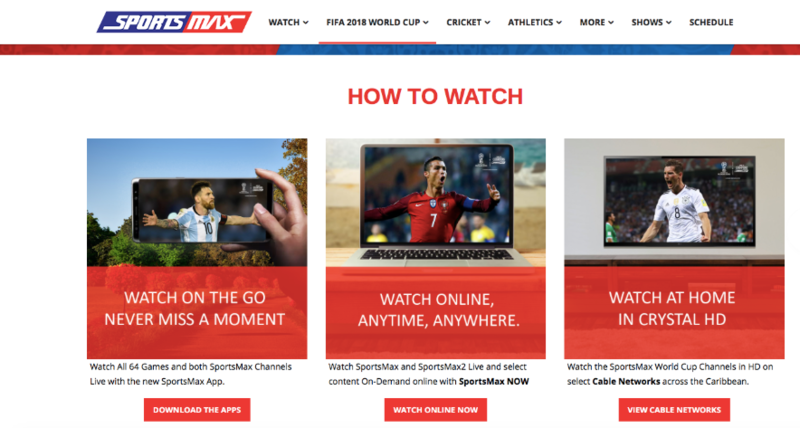 SportsMax already had a way to sell subscriptions through their partnership with Cleeng, a company that enables media brands to charge for live pay-per-view and subscription VOD. The only element missing was the app. It was essential for them to not only create an app that can stream the World Cup, but to provide one that would lure viewers to watch it on their platform as opposed to someone else’s. They also needed their app to be compatible on all devices, like iOS, Android, and tablets. At first, they attempted to create the app in-house using employed developers and programmers. However, it proved to be extremely time consuming, and time was of the essence. They needed a solution that would allow them to create a sophisticated and high-quality app very quickly. The only problem was, the World Cup was four weeks away! If the World Cup would begin before they had an app, SportsMax’s brand would experience a big hit and lose numerous users. Additionally, they would miss out on generating new viewers and subscribers. That’s where our SaaS app development platform for media and broadcast companies came into the picture. "One of the main challenges SportsMax were facing was to deliver a robust app integrated with multiple 3rd party services in a short time with a hard deadline; The World Cup kickoff. The Applicaster platform caters to media brands and allows them to integrate, build, and launch media apps quickly, without heavy development or exhausting iterations. Having Cleeng as part of our Marketplace's integrated plugins made it even easier, and together with the amazing team at Sportsmax and our SaaS platform, we were able to resolve SportsMax's problem and launch a successful app." What SportsMax needed was not an app programer, but rather a platform that offered a way to create an easily customizable app. This is Applicaster’s specialty and why SportsMax, Cleeng, and Applicaster together were able to create a fully-functioning, high-performing app in just two weeks. “Through close partnership and seamless integration between the Applicaster and Cleeng solutions, we are able to quickly deliver a high-quality multi-device OTT channel like we did for SportsMax. We are excited to continue to grow our partnership with Applicaster and drive the innovation in the online video space for Broadcasters and Sports organizations." In general, SportsMax uses the Access and Identity Management (IAM), Entitlement and Payment modules from Cleeng. This means that SportsMax was able to quickly create a specific World Cup pass for its customers, split to a one-off daily pass and a pass for all World Cup content. Then, Cleeng helped the broadcasters to run a promotional campaign by enabling coupons and syncing the same promotions to web and mobile apps. This resulted in a nice 16 % customer conversion rate (visitors to paying customers). The Applicaster platform allows media brands to build native iOS and Android applications with ease. This was clearly the solution for SportsMax, as it would allow their consumers to watch the World Cup anywhere they wanted. Additionally, SportsMax would be able to make changes to the app or update any features, and the revisions would appear in real-time without the need to wait for resubmission to the App/Play Store. So, how did they get the app live within only 2 weeks? The first step was to design the app. Luckily for SportsMax, Applicaster’s robust and flexible platform allows app developers to build their app with numerous menus, screens, data sources, and media. They developed the media app to be compatible with any and all devices SportsMax viewers use, resulting in an adaptable platform for subscribers to use. After the design of the app was completed, they needed to integrate a means for users to have access to SportsMax streaming service via any platform they choose. For example, if a user signed up for SportsMax through the app, they should be able to use the same credentials to log into SportsMax on a desktop. 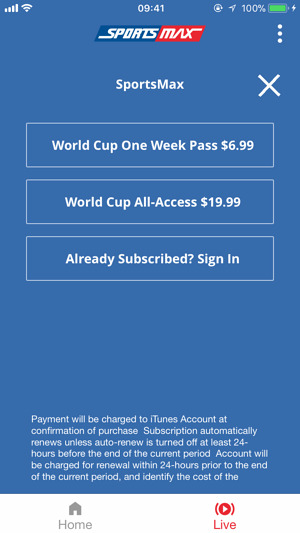 Content needed to be streamed live on iOS, Android, and desktop with the option to purchase a package to watch the duration of the World Cup. This was made possible through the integration of Cleeng and Applicaster. SportsMax let viewers know about the different options to watch the games on whichever platform is most convenient for them. By using Applicaster’s platform, SportsMax was able to provide viewers with all 64 games of the 2018 World Cup, as well as other live channels they distribute. They also majorly surpassed their goal of obtaining 20,000 users for the World Cup. In fact, they hit that number within only the first two weeks after the app was released. “We knew it was going to take something close to a miracle to find a platform that would be able to deliver and turn around such a significant project in such a short period of time; Applicaster made it look easy, and more importantly solidified our trust in their platform, their development and support teams, and their relentless drive to meet our objectives and expectations. We're forever grateful and happy to have them as a partner in our continued development". Is your media brand facing a similar challenge? Reach out to us at Applicaster, and we will be happy to help you surpass your company’s goals.